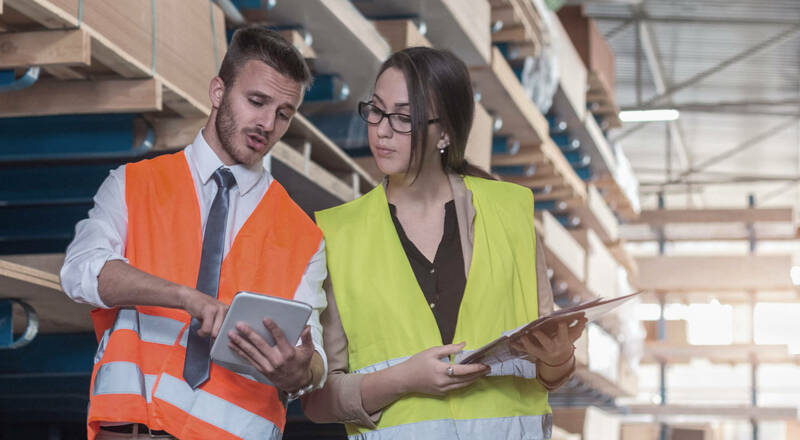 "The smart solution for paperless Inspections"
Opera Audit is the new system designed to carry out inspections in mobility and manage reports in an integrated way with all field activities. Companies and professionals providing quality, energy, environment, security and product certification services make the most of Opera Audit technology as it greatly enhances operational quality and efficiency. Go paperless by archiving project documents and related works in a simple but powerful environment. Electronic documents and technical staff are at the center of this management tool, which finally handles activities inside the office or outdoor in the same way. 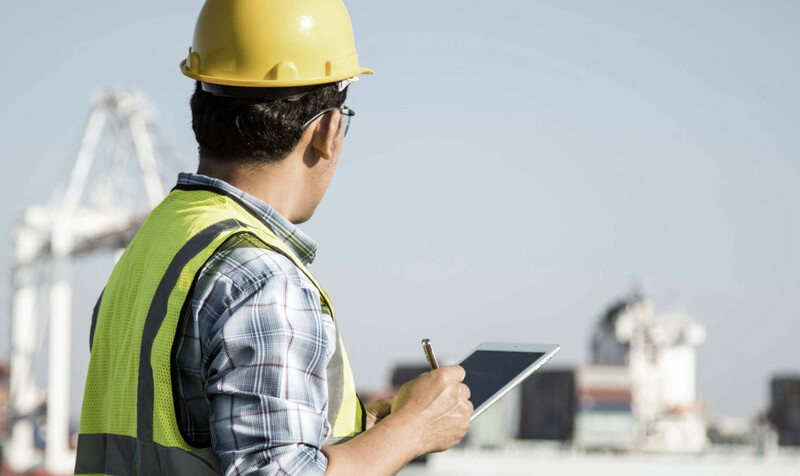 Take advantage of common smartphones with Opera App to automate field inspections. Compile and generate with a simple click reports, certificates, or administrative reports that are relatable to your business format. 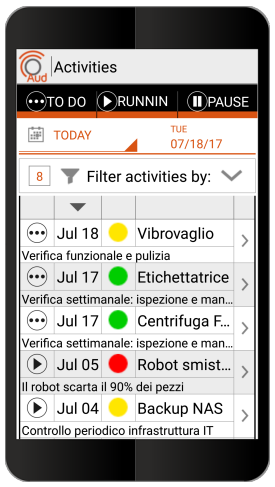 Pianifica Schedule an audit, assign the assessment template to an inspector who will perform the task through the App and trace the evolution in and out of the company. Manage your documents with electronic signatures and always in a safe digital environment. Centralize on server (in the company or on cloud) technical documentation of your projects, customers, orders or generic assets in a clear and organized tree view. Add any type of media (photo, video, audio) or document (text, manual, cad design) to describe each object in the tree view. Share all this information with members of your staff on the field, assigning different visibility according to your needs. Create your work orders from the Web Console by associating them with your asset and the template document in use. Assign to your staff the inspection task and follow the progress. Once the fieldwork is completed, the document goes into review mode until final approval. Whether it is a periodic audit, a certification or a routine inspection, Opera Audit can always support you. During the daily use, it is the control center of all projects, staff and work progress. 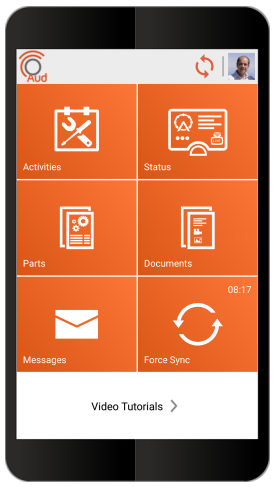 With the powerful Opera Audit coding engine, is easy to convert your document format into ad-hoc interactive pages for smartphones. 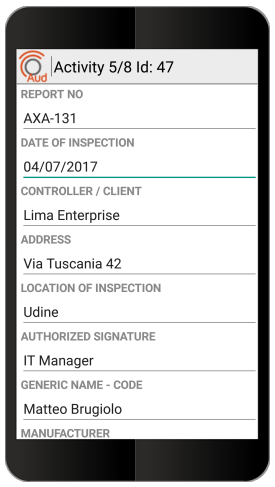 These templates become part of your library, so it is easy to execute with your smartphone all inspections previously assigned through the Web Console. Just fill out all required fields from the assigned template; add photos, comments, technical and administrative data. Record video or notes and the result will be a perfectly compiled and neat document truthful to your business format. Implement your assessments and procedures through checklists ready to be carried out systematically by the field staff. Each result is recorded into the central server along with essential information: who checked, at what time, the date, and GPS position. This way, report, and traceability are automatic and very accurate. With Opera monitoring module, you can connect your systems by taking advantage of OPC protocol versatility or by adding sensors to the critical points of your process. Parameter monitoring allows you to know the state of the machines both in terms of present alarms and hours worked, and of course, you can exploit this technology to apply predictive maintenance to the equipment. With Opera, you have a professional business social network that unifies the management of even instant messages, by organizing them in the same collaborative environment. Therefore, you will no longer need to rebuild the field activity history by retrieving the information from the text messages exchanged between phones, as you have everything enclosed in Opera. Will the Investment pay off? 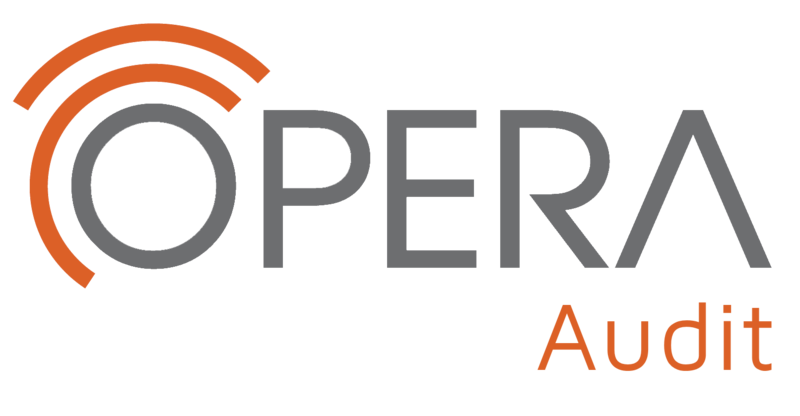 With Opera Audit you quickly increase the efficiency of your operations management inside and outside your office. You will save from 15 % to 25 % of the time for paper management as well as heavy company procedures. Stop with the time waste and the misunderstandings. Perform training on the job and increase your staff's productivity through simple and detailed step-by-step guidelines easy to follow. Opera increases the level of traceability and the overall quality of services performed on the field. This allows a company to improve its market position and reduce customer complaints about non-compliant work. Additionally, data digitization on Data Base allows you to search the data in the history and monitor performance (KPI) of each project, group, or company. Opera costs less than you think! It is available in three different versions: Professional, Business and Enterprise. Software licenses are available for rent in the Professional e Business versions, using the Remorides cloud service. In the Business version is possible to choose the Cloud service option with license renting, or on premises option (using the customer-dedicated server) with perpetual license. (*) The telemetry module together with optional hardware is available only in the Enterprise version, and proper solution and quote has to be defined case by case depending on client requirements. How is roll out in the company? Implementing Opera in the company is a fast and simple process. Normally the roll out is concluded in two weeks according to the number of people and template inspection involved in the project Opera Audit does not modify the workflow but essentially digitizes what was previously paperwork.